Student Council Fabric Flags - Order Online Today! Custom fabric flags are great for student councils. Flags are also perfect for events your student council is putting on or sponsoring. Student councils can make flags for other school organizations like DECA, 4-H, FFA, Fraternities, Sororities, Honor Societies, Political Councils, Cultural Groups, and many other groups and clubs. 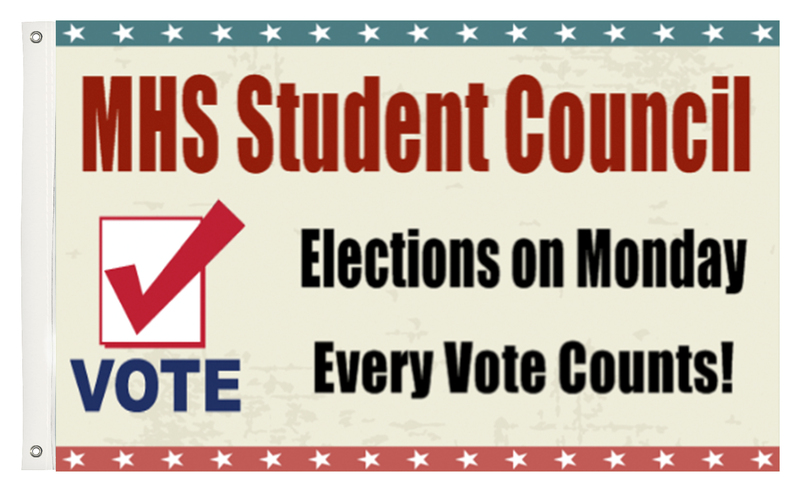 Browse through Student Council templates, add photos, clip art and text. You can also upload a print ready file or work with a graphic designer.